TL Brown, head coach of men’s golf, was inducted to the Arizona Community College Athletic Conference Hall of Fame. “To get that honor, it makes me very proud of where the program has gone,” Brown said. Brown started his coaching career at South Mountain Community College and he said he is grateful for the opportunity SMCC has given him. “South Mountain (Community College) and the athletic director, Dr. Ferguson, were the first people who gave me a chance (to coach a college team),” Brown said. Constructing the program from the bottom up, Brown said he is happy to have been a part of building the athletic program. Before coming to CBU, Brown coached at Sapola High School, Tom Water High School, SMCC and California State University, Chico. Having been a player himself, Brown said he wants to be a coach that motivates his student-athletes to be the best they can be and a coach that simplifies the game of golf. Hayes said Brown is good at working with every athlete individually and the team trusts him. 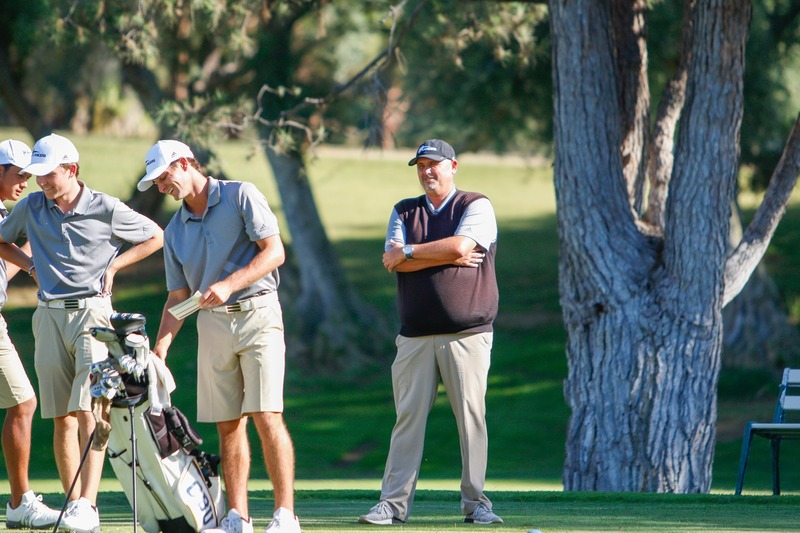 The golf team ended its fall season and finished ninth at the Visit Stockton Invitational. The Lancers’ spring season will officially begin Feb. 11.